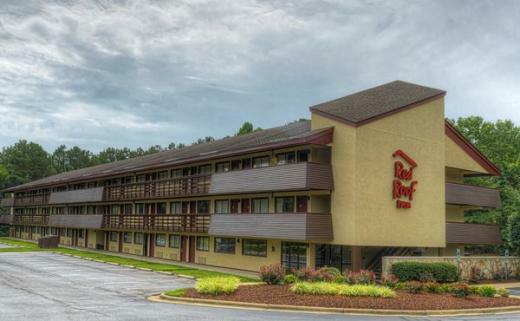 Red Roof Inn is located approximately seven miles southwest of Downtown Durham and 16 miles from RDU International Airport. This location is also six miles from Duke University, eight miles from Bennett Place, and 10 miles from the Museum of Life and Science. The property's amenities include 24-hour front desk service, complimentary coffee, and USA Today newspapers in the lobby. All rooms feature dataports, voicemail, unlimited free local calls, work desks, clock radios, and cable TV.